Jaw surgery has left a Texas woman with a British accent, a rare neurological disorder that has the mother-of-three sounding more like a character from "Downton Abbey." 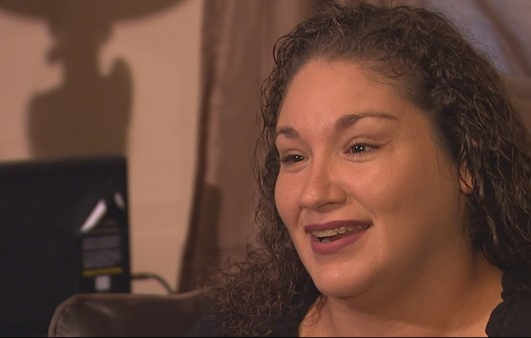 CBS Houston reports that six months ago, Lisa Alamia underwent jaw surgery to correct an overbite, resulting in nerve damage that led to a condition known as foreign accent syndrome. Now, chatting with strangers in her town of Rosenberg, Texas, is no simple matter, Alamia said. "People who don't know me, they're like, 'Hey, where are you from?'" She answers, "I'm from Rosenberg, [Texas]. They're like, 'Where is that?' I'm like, 'Right here in Rosenberg.' 'Oh, you're from here? How do you talk like that?' So that's where the whole story comes up." When Alamia's older daughter Kayla first heard her mom's jaunty British accent, she said, "I thought she was joking with me." "But then she showed me that the doctor diagnosed her with foreign accent syndrome. Then I was like, 'Oh, Lord,'" she added. Fewer than 100 people worldwide have been diagnosed with foreign accent syndrome over the last century, according to experts at Houston Methodist Sugar Land Hospital. Foreign accent syndrome is most often caused by brain damage from a stroke or traumatic brain injury, but it's also been linked to multiple sclerosis and other health issues. In some cases, no clear cause has been pinpointed, according to experts at the University of Texas at Dallas. Alamia's neurologist, Dr. Toby Yaltho, put her through a battery of tests trying to answer the how's and why's of her strange condition. So far, it remains a mystery. British pop singer George Michael reported in 2012 having a similar problem. After a life-threatening bout of pneumonia that left the then-48-year-old former "Wham!" frontman in a coma, he awoke with what he described as a "West Country accent." "There's nothing wrong with a West Country accent but it's a bit weird when you're from north London," Michael told London's LBC radio at the time, the news agency AFP reported. According to another 2015 BBC report, a British woman who'd been in a serious car accident had the speech problem, too. While her language remained fluent English, her accent shifted to French or Chinese. Experts say it can be difficult for some patients -- in effect, stealing part of their sense of self, their identity. A 2015 book, "Foreign Accent Syndromes: The Stories People Have to Tell," (Psychology Press) by Jack Ryalls and Nick Miller, two professors who study speech disorders, highlights a number of unusual cases and how patients and their families struggled to adjust. Does Alamia mind sounding something like Lady Mary Crawley of "Downton Abbey" fame? Alamia told CBS Houston she can't say many words the same way anymore. But the good-natured ribbing from her family and friends helps her take it all in stride. "They're like, now there's no way you sound 'hood' at all," Alamia said. "My daughter laughs at the way I say 'tamales.' I used to be able to say it like a real Hispanic girl. Now I cannot." Other words don't roll of her tongue quite the way they used to, either. "'Mum' is probably the one word I notice right away," Alamia said. "'Kitten' (is another). They think I'm talking about a baby cat. I'm not. I'm saying, 'I'm just kidding.'"